Well, it would be easy to adapt the change if you can have an idea about them in advance. Knowing in advance that what the upcoming year is bringing for you will not only help you get ready for the changes but will also let you grow your business. There come a few notable trends that dominate the business industry every year and no matter how successful these trends remain, the new year brings new trends. These new trends can be totally new or can be a modification of the existing ones. In order to keep your business surviving, you need to follow these trends by adapting the change, regardless you like them or not. As 2018 has already begun, you need to know the trends that will dominate the business industry in the upcoming months and should make strategies to follow those trends. For your convenience, here we are going to through light on the emerging business trends that will dominate in 2018. Video content will become the king. Video has already become hot in the content marketing and it will become hotter in 2017. Videos are just perfect to gain the attention of the audience, to address their issues, interact with them and provide them a way of entertainment at the same time. It is the perfect way by which you can provide valuable information to your clients while offering them entertainment at the same time. The high-quality videos that have a right theme and story will help you increase the likelihood that the audience will enjoy your videos, would like and share them leading to the enhanced exposure of your business. Though there is a lot of content on the web but it will still be growing in 2017 as the number of businesses will grow. But, rather than focusing on the quantity of the content, the businesses are required to focus on the quality. So, just creating content will not be enough, try to create the one that will help your business stand out in the crowd. However, you don't need to acquire special skills for that; what you need to do is focusing on the requirements of your audience i.e. the topics of their interest, the writing way they find engaging and more. Once you have a good understanding of that, you will definitely be able to produce high-quality content. Businesses have well understood the importance of customer satisfaction and this is the reason that their strategies would be customer-centric along with being business-centric. However, customer experience is not only dependent on the quality of the services or products you offer to them; the way you deal with them, interact with them, ensure support in the hour of need and more. Good communication and personalized sales approach are the things that will let you develop good relations with your audience. Ensure to make them feel like you are addressing their problems, not like you are selling to them. These trends are the ones that you need to welcome with the open arms. Do analysis that how these trends can be incorporated into your current business strategies and start implementing them. These are definitely going to help your business grow. The evolving technology of the internet has made the world a global village. 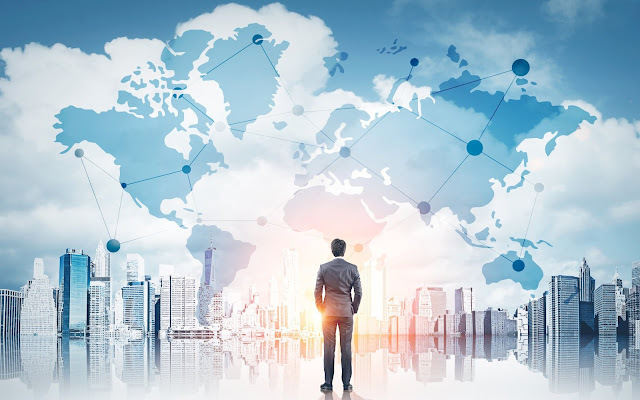 No matter in which part of the world you are living, you can offer your services to every corner of the world provided that you have the ability to that. And this ability has resulted in the increase of the number of the freelancers. A survey shows that 35% of the USA workers are freelancers and this percentage will grow to 50% in 2020. So, you are more likely to seek the services from freelancers, if you haven't yet. Well, this is going to be a good thing as the freelancers not only provide you the dedicated business-centered solutions but also cost less as compared to the permanent hires.